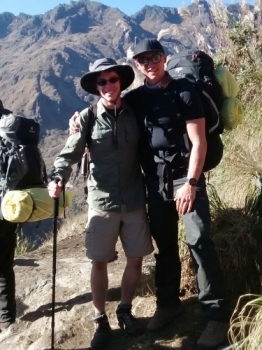 Dear Inca Trail Reservations, Thank you for a very good tour 4 days and 3 nights to Machu Picchu . The food was good four example the first night we get a good vegetables soup afterwards chiken with quinea. 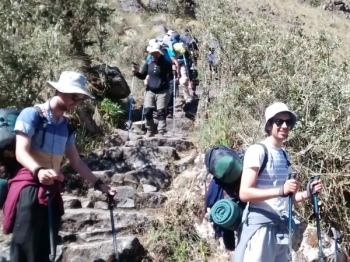 The guided Inca trail tour to the Machu Picchu be the Inca Trail reservations was a great experience. The guides Raul and Carlos helped us get through the tough parts of the trail in single piece. IT WASNT EASY AT ALL! 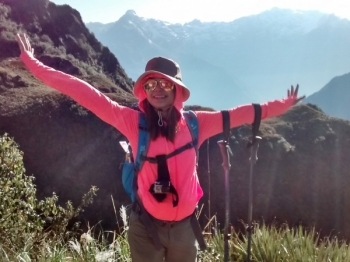 , The trek was one of the best experience i have ever had. It was extremely hard..at the same time it was extreme fun. 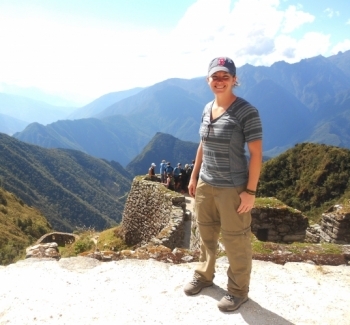 My Machu Picchu adventure has been surreal!!! The four day trek has been amazing. From orientation day, meeting our guide, Raul, and until the end of day four . 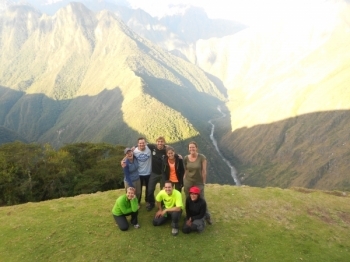 The group and the two tour guide, Raul and Carlos, has been wonderful company and made the trek a better experience. This trip was absolutely amazing! 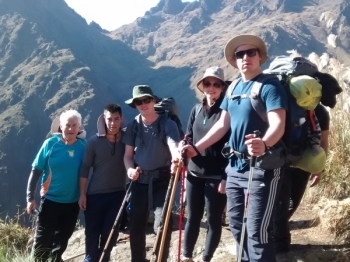 From the guides to the porters the cooks, and of course the views, It was a ten out of ten. Can I have my t-shirt now? 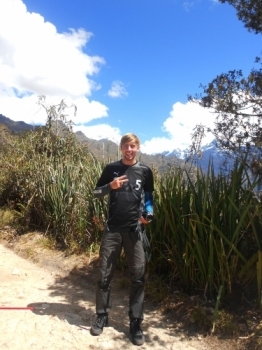 The Inca trail was harder than I expected, but was made as easy as possible by numerous apparently super human porters. Where’s my table dance Raul? Brilliantly organized trip, great all round. 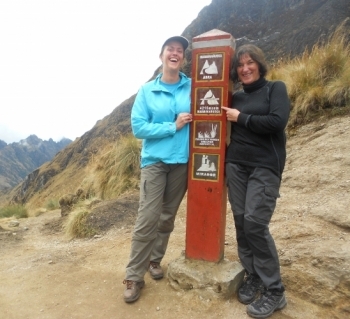 The 4 day Inca Trail was worth it for the sites and countryside. You don't have to be a pro athlete, but there are big steps and quite high altitudes. Raul and Carlos were great tour guides, and really funny guys. They adapted to slow and fast walkers, which was good. 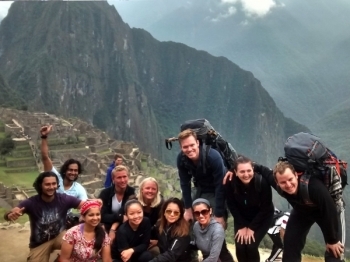 The Inca trail is a must do adventure for any gringos exploring South America. 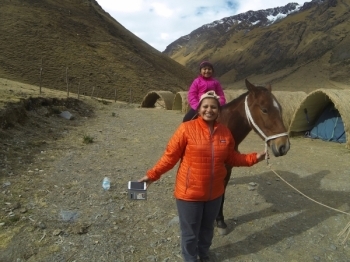 Every morning we were woken with steaming mugs of coca tea in our tents to get us powered up for the day of hiking and exploring ruins. Guides were awesome!!! Cook were accommodative of vegetarian needs. We had some issues due to my daughter fell sick and guides were great help. Trip can be better tailored for kids. Program is awesome if you go without kids. we had a best time for hiking with my family!!!. Tour guides (Marco & Victor) are the best. Helping everyone on our hiking trip and they had good knowledge about each trail. Forste dag var enter all for venting; motte gjengen og guiden vi skulle vare sammen med paa tur. 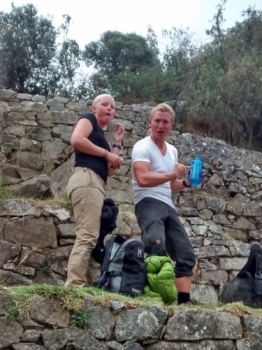 Startet med godt var og fine stier langs flotte urubamba elven. Herlig lunj med utsikt utover dalen. Guiden Juan Carlos took oss sikkert opp til campen der portene hadde tell, mat og drikke Klaproth. Fantastisk dag. 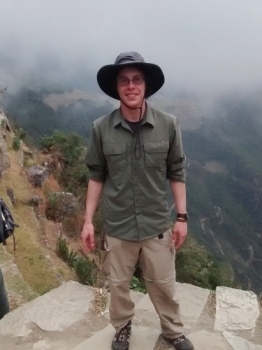 Etter aa ha dromt om aa gaa inka-trek til Machu Picchu i femten! aar, ble drommen endelig endelig realisert august 2015. Vi fikk en god briefing av var glimrende guide Juan Carlos, og forste dag var forholdsvis overkommelig, og pa tross av litt regn underveis ble det en bra dag. 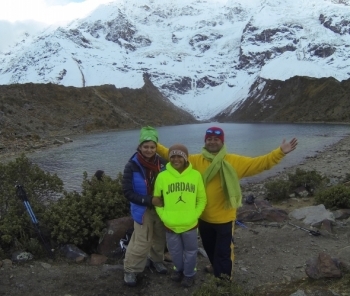 I had a great time with the people, the porters and guides. You have sometimes a lot of people around you, specially in the morning when every company leaves the campsite at the same time, but later you only walk with your group or maybe alone. These past four days went by too fast! I've never done anything so rewarding in my life! The entire time from the very beginning it was such an adventure, but still it was made so easy by our amazing tour guide and porters!! They talked us through everything before hand and made sure we were 100% ready for everything.